Good informative thread, post more such content..
UVian i am glad you found this informative. 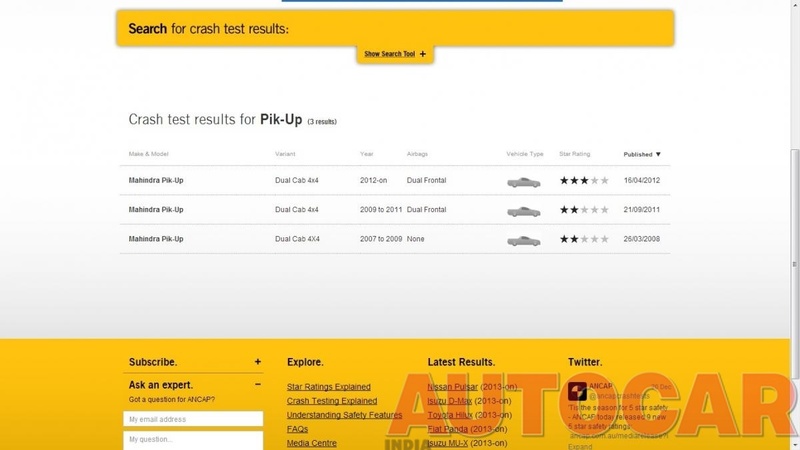 What was the result of Mahindra pickups featured above, failed ? @ RAV4 glad you liked it. Good thread. This should be a critical factor in a buying decision. Yes , i am having that much fun finding and posting these videos, but dont know what we can understand from what we are seeing , I am still to find a video that explains the entire process of these tests.